Avelox can cause peripheral neuropathy within days of use. This condition is a type of nerve damage. It is extremely serious. It can cause muscle weakness, numbness and pain that can potentially last a lifetime. We are rapidly learning more about the connection between Avelox and neuropathy and it is leading to lawsuits. If you believe you have a potential claim, call us at 800-553-8082 or get for a free online consultation. Avelox is a fourth-generation synthetic fluoroquinolone antibiotic. The drug is sold in over 80 countries worldwide and is available in intravenous, topical, and oral forms. It is effective at treating gram negative and gram positive bacteria such as Escherichia Coli (E. choli) and Streptococcus Pneumoniae. Avelox works by interfering with bacterial DNA gyrase. During this process, the drug binds to certain enzymes, preventing DNA replication. Avelox was first approved by the United States Food and Drugs Administration in 1999. Recent lawsuits have alleged that as early as 2001, Avelox’s manufacturer, Bayer and Merck, were aware of the risks associated with Avelox and peripheral neuropathy and yet did nothing about it. In fact, in one of the first post marketing studies in 2001, researchers found a clear association between the drug and long-term nerve damage. Despite knowing these risk factors, Bayer and Merck continued to market the drug with little or no warnings in either the package insert or on the box itself. 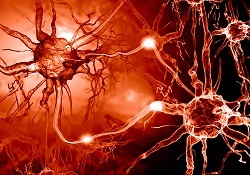 In August 2013, the FDA required new warnings regarding the effects of Avelox and neuropathy. These warnings were supposed to be included in the package insert and on the product’s packaging material. The FDA safety announcement specified that “the U.S. Food and Drug Administration (FDA) has required the drug labels and Medication Guides for all fluoroquinolone antibacterial drugs be updated to better describe the serious side effect of peripheral neuropathy. This serious nerve damage potentially caused by fluoroquinolones may occur soon after these drugs are taken and may be permanent.” Included in this announcement was data dating back to 2003 indicating a continued association between fluoroquinolone use and disabling peripheral neuropathy. Unfortunately, for many individuals these changes come too late in the game. Many doctors have been prescribing Avelox for years, and for many patients, the effects of Avelox have become long-lasting and permanent.